The view is astounding and the handling is superb - glassing through the EL 8.5x42 SwaroVision Binocular from Swarovski brings the cutting edge of optical performance to a new level. While the original EL series set the benchmark for clarity, color accuracy, and handling comfort, the EL SwaroVision binoculars raise the performance bar even higher. The optical system has been enhanced with all of Swarovski's HD optics with their legendary performance-enhancing multilayer lens coatings. The optical path is enhanced even further with the addition of field flattener lenses. These field flatteners ensure an edge-to-edge sharpness and clarity that's free of distortion and other distractions. Keeping pace with the optical train, the EL SV's construction also benefits from some advanced fine-tuning. The EL's open-bridge design provides viewers with long-term viewing comfort, enhanced stability, and ease of handling. The housing is covered with a rubberized finish that offers a secure tactile grip and a bit of shock resistance. Stellar all-climate performance is ensured via nitrogen purging. The rugged magnesium housing is sealed and purged to create a watertight and fogproof internal system - one that's impervious to dynamic climates and difficult conditions. The focusing system has been upgraded as well - this optic focuses down to 4.9' and the viewer can go from infinity to minimum focus with two full rotations of the center-focus dial. A wide angle field of view and truly noteworthy eye relief contribute to this fine sporting optic's viewing performance. Even when wearing glasses, the view remains unobstructed, free from vignetting, and lush with crisp detail. SWAROCLEAN coating: the non-stick proprietary external coating makes cleaning/removing dried-on mineral residue, insect repellent, and tree resin easier. Over time the lens' surface will require less intensive cleaning which significantly increases the longevity of the optic. There is no doubt that this Swarovski EL 8x42 binocular is a beautiful, exceedingly well made, high performance optical instrument and in my opinion rightly deserves the reputation as being one of, if not the best overall binocular that you could ever hope to own. Strong Points: Build quality and the quality of materials and components used on every single aspect of this product, including the accessories is as good as it gets. Period. The use of the best glass and coatings and their obvious technical expertise translates into an incredible view, which is matched by a few, but in my experience never surpassed. The eyecups and 20mm of eye-relief is excellent and whilst not class leading the field of view is up there with the best in this size category, which if you consider that they have a slightly more powerful 8.5x magnification makes it even more impressive. Their minimum close focus distance is superb. I love the new neckstrap, the design is no gimmick and Swarovski have obviously put a lot of thought into it and have developed a system that is simple better than most other solutions. The lockable and very easily adjustable diopter adjustment that is incorporated into the focus wheel is excellent and far superior to the normal alternative of having a ring located near the eye-piece. Weak points? As we know nothing in this world is perfect and so as you improve in one area, you usually find (especially with optics) that you then loose in another: So the fact that the Swarovski EL 8.5x42 binocular has a very tough and robust chassis, using far more high end quality metallic parts than most others that use cheaper but more lightweight plastic parts means that these binoculars are pretty heavy when compared to most other 42mm binoculars. So if your main criteria is low weight then these will be far from ideal. Whilst it works like a dream, the look of the focus wheel is in my opinion is a little cheap looking and not in keeping with the rest of the device. Whilst you can still fix it to a tripod, it is a shame that these Swarovski binoculars cannot accept a standard tripod adapter. So if it is a cheap or lightweight and compact 8x42 that you are after, then I would suggest that you look elsewhere, but other than that, if you are looking for the ultimate pair of 42mm binoculars, then you will most certainly not be disappointed with the Swarovski EL 8.5x42 binoculars. These are for me now the reference point and by which all others need to aspire towards. 8x42 binoculars are in many ways the ultimate configuration as an ideal all-round and general use binocular as the best ones combine a good level of magnification, with a wide view, let in plenty of light and yet are not too big or heavy to easily carry about. 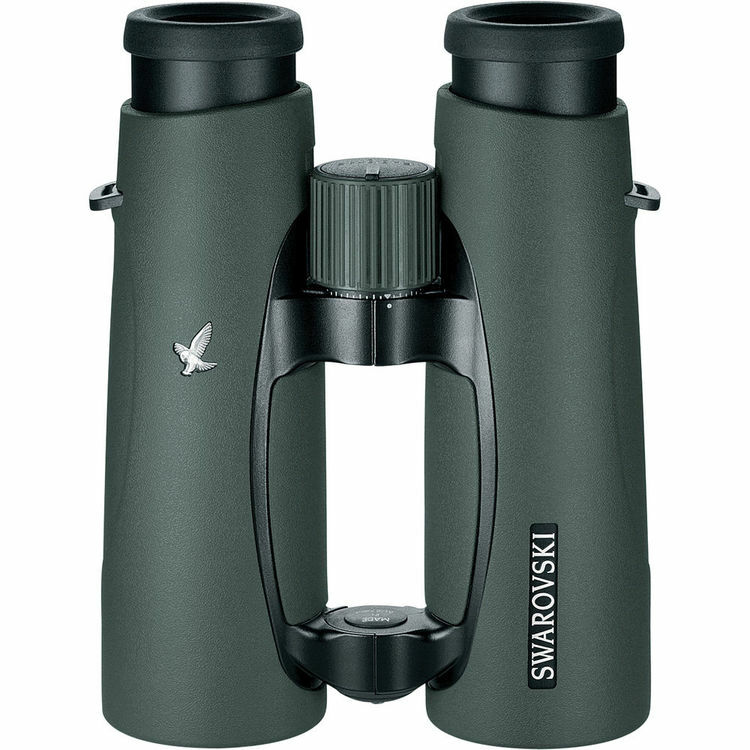 So as these Swarovski 8.5x42 EL binoculars are really in my opinion one of and perhaps even the best 8(ish)x42mm bins currently available, then it stands to reason that they must be one of the best all-round general use bins that money can buy - without doubt. The wide field of view has a number of advantages, but will appeal to most birding as it makes it easier to track small, faster moving, unpredictable birds from close distances. Add to this the sublime image quality and brightness and you have the main ingredients for the perfect bird watching binocular. These same features and their undoubtably tough and waterproof magnesium shell, durable rubberized coating and scratch resistant lens coatings combine together that will make even the fussiest hunter smile. However if you are after a hunting specific bin that contains a rangefinder, then Swarovski also has that covered with their EL range series. 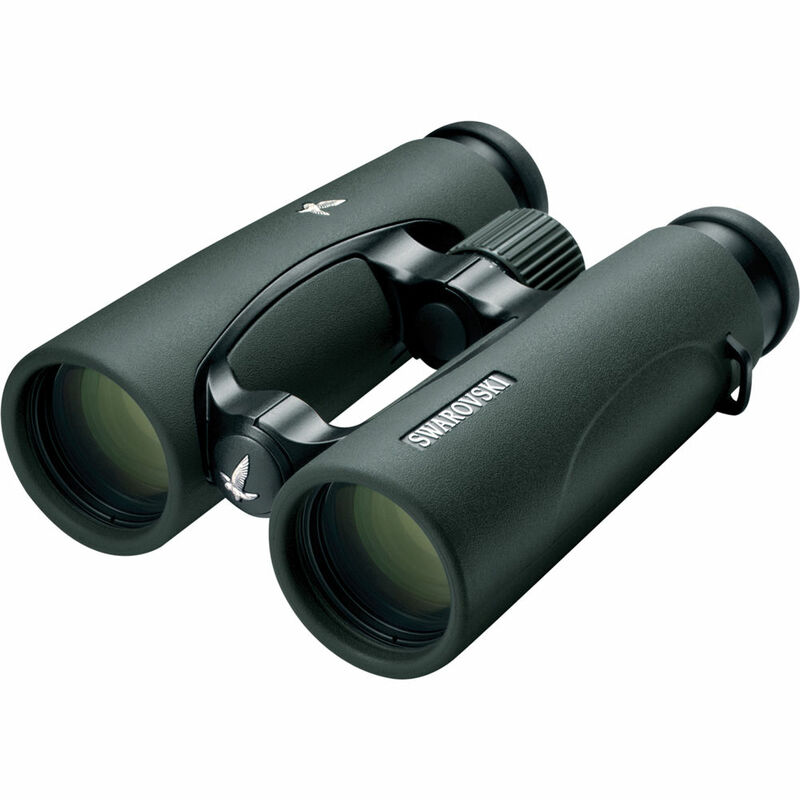 In terms of size and weight, they are on the larger heavier side for a full sized bin and so may not be the ideal choice for travel, thus if you are after a bin specifically for adventures like a safari then I would suggest taking a look at something like the Swarovski EL 10x32 binoculars instead. Their extremely close minimum focus distance also makes them an ideal bin for viewing butterflies, other insects, flowers or even birds from closer ranges.